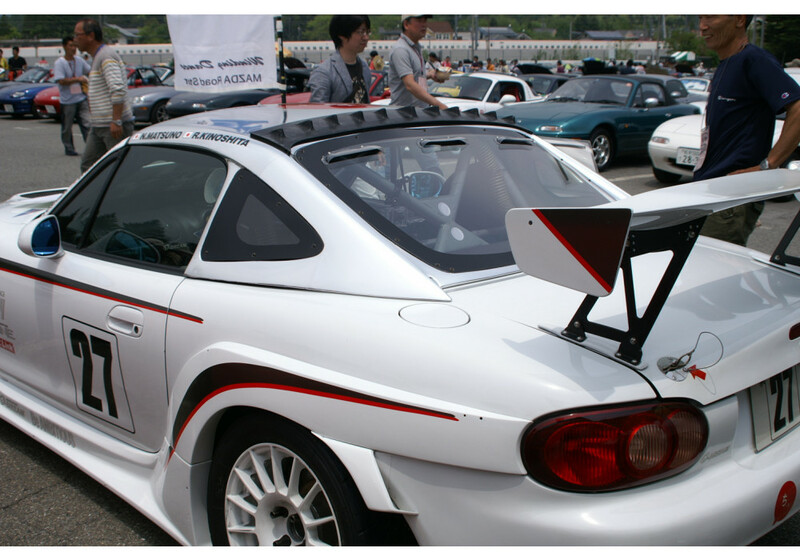 Product made by Garage Vary from high quality FRP to create turbulence over the hardtop and increase downforce (used as vortex generators). 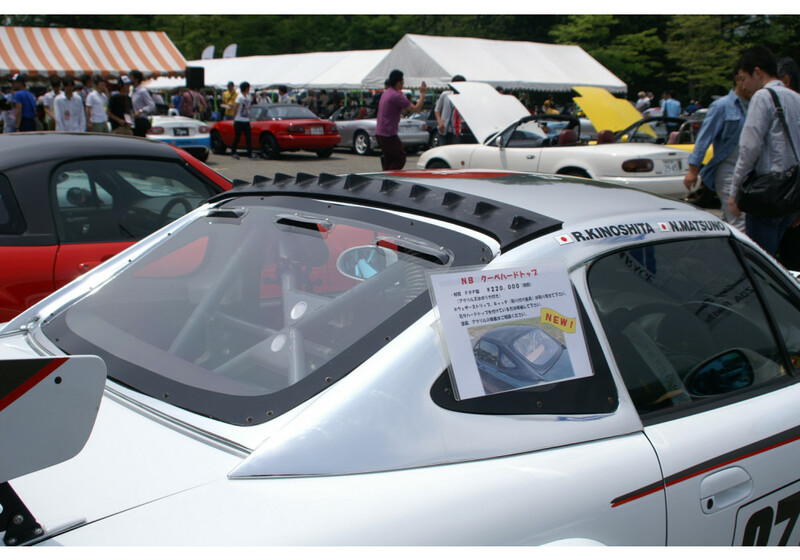 It is made to bring “better airflow” to cars with rear spoilers. 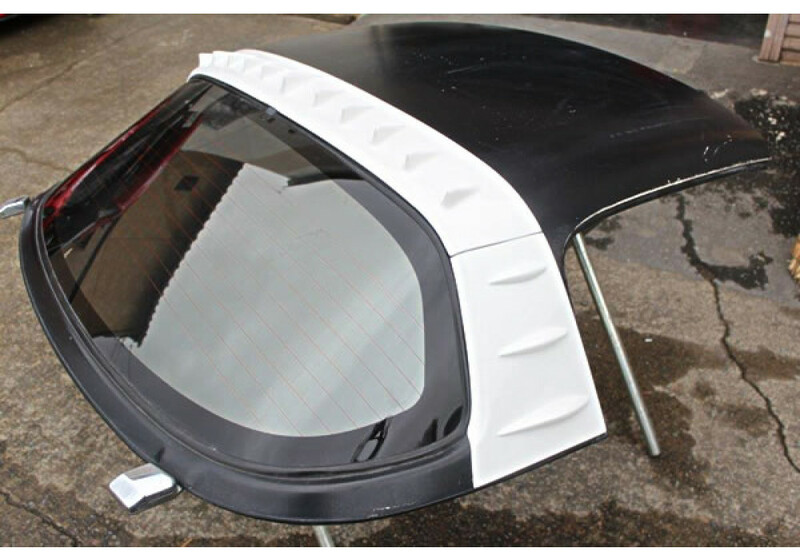 White NB only has the top part where the Black hardtop shows the 3 pieces kit. 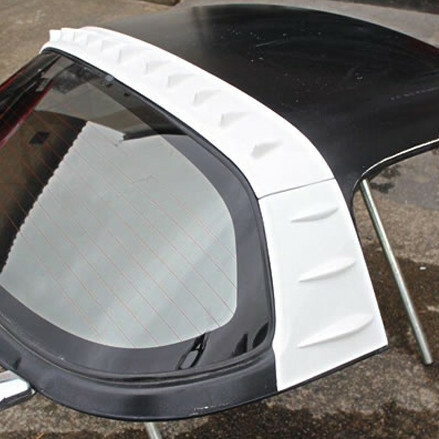 Garage Vary Hardtop Turbulator should be ordered at REV9 Autosport https://rev9autosport.com/garage-vary-hardtop-turbulator.html as they provide the best service and speed we've seen so far! 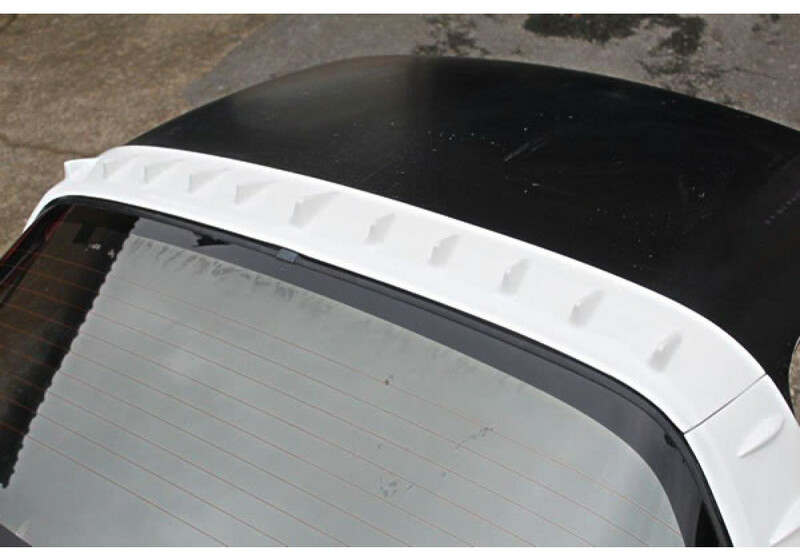 Is there any simulation data or experiments suggesting that this design is effective (like there is with a few other vortex generators on the market), or should it be considered mainly a cosmetic product? Garage Vary installed it on a car that entered Fuji Championship Race (last year). It run very fast getting downforce and the committee decided the turbulator should not be installed at the race. Now it is not permitted to use it at the race in Japan. That is all the information we have about the piece. Very sorry for not being able to have more technical information.